DeeAnne Fusek Borden, 93, passed peacefully on St. Valentine's Day, February 14th, 2019, to rejoin her sister, Matilda, in their heavenly home. She was born to the late Matthew and Antonia (nee Draschovic) Fusek on April 22, 1925, in Benwood, West Virginia. Admired by many for her loving heart and "feisty" spirit, she was a fierce friend, mother, grandmother, aunt, and sister. She had a natural flair for fashion, floral arrangement, and aesthetics, as well as a generous soul, donating to numerous charities throughout the latter half of her life. Her strong will and sense of humor, despite the many health challenges she faced, were an inspiration to everyone around her. She leaves behind her daughter, Pamela Borden Tokar (Peter Tokar), granddaughter, Kathryn Tokar, and sister, Eileen Fusek Korach, of Tampa, Florida. She was a cherished aunt to: Charles Brown Jr., Dennis Brown, Janet Fusek Carey, Barbara Fusek Kershner, Karen Korach, Thomas Welsch, Shauna Fusek Benson, Michael Fusek, David Fusek, and Edward Haufe, Jr. Donations to St. Jude Hospital for Children may be made in her honor to: 262 Danny Thomas Pl. Memphis, Tennessee 38108, at www.stjude.org, or through Facebook. A mass of Christian burial will be held on Friday, February 22, 2019 at St. Raphael Catholic Church, 525 Dover Center Rd, Bay Village, Ohio 44140 at 10:30 am, with a gathering in the church to celebrate DeeAnne's life 45 minutes prior (9:45 am). 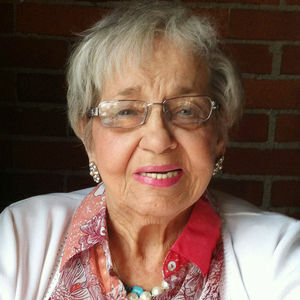 She will be laid to rest at St. Joseph Cemetery in Avon, Ohio, following services. www.buschcares.com (440) 933-3202. Add your thoughts, prayers or a condolence to DeeAnne's guestbook.